Our terrain had a "ruin": a house that was abandoned during the Yugoslavian war. We used mostly natural and local materials to rebuild it, like strawbales from a farmer in Zivkovic Kosa, kaolin clay from the mine in the forest, sand from our land, and tree trunks from our forest. The house has a lot of glass on the south-east side. We packed the stone house in strawbales. On top we constructed an extra wooden attick (wood, second hand bricks, and wool as isolation) as a 1,5 floor penthouse for the family. An important part of the house is the big balcony on top. The balcony (about 25 square meters) is as an extra room. The roof has an overhang so the sun does come into the house in winter, but stays out in summer. We re-used materials like (beautifull) old bricks, the oak wood from an old house and used round tiles on the roof. 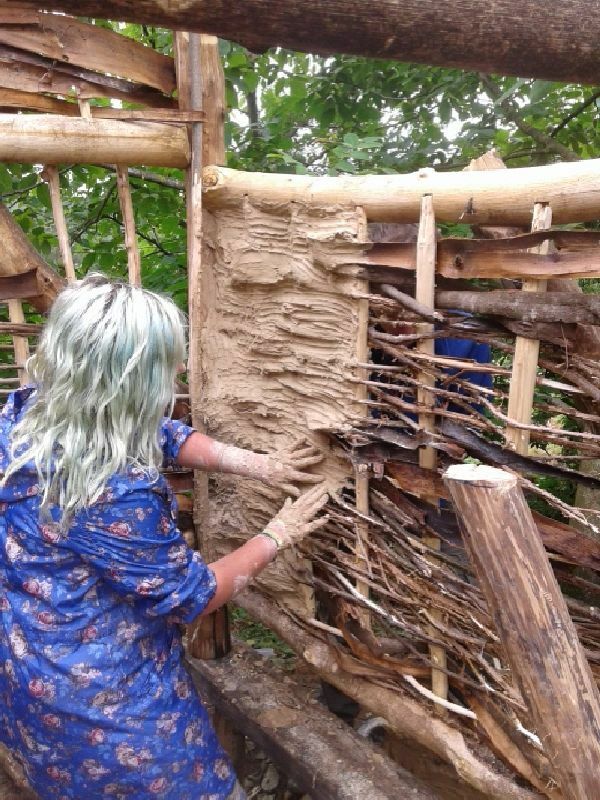 For our construction work we prefer to use wood from our forest, and local straw, clay, sand and things we find.